Search Engine Optimization for you website is critical for gaining high-visibility through search engines like Google and Bing and others. We are experts in SEO. Just let us know how high you would like to see your website listed, and if we think we can get it there, we'll supply you with a quotation. Just weeks later you will see much more activity on your site. Traffic may have a negative connotation when it comes to operating your motor vehicle, but when it comes to your business website or mobile business website traffic is definitely most welcome. 'Traffic' for your website means, quite simply, visitors - and visitors are prospective customers. 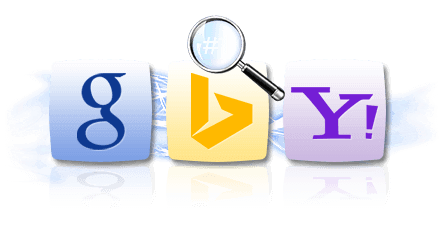 Better search engine rankings on popular search engines are key. Improved Google search engine rankings as well as for Yahoo, Bing and others are very possible when you’ve got an experienced SEO provider like 4GoodHosting working for you. Contact us today and start down the road to greater website traffic with improved SEO for business owners.